Tim Newfield of Georgetown University in the US and his colleagues explored the song “Völva’s Poetry” from a collection of ancient Icelandic songs about the gods and heroes of the Scandinavian myths “Elder Edda”. In this song, dating back to around the Xth century AD, the prophetess foretells the strongest cataclysm that will destroy the old world, the emergence of the earth from under the water and the resurrection of the god who will rule the universe. Many researchers believe that this song appeared in Iceland at the junction of the pagan and Christian eras, and Newfield and his colleagues suggested that the song mentions the volcanic eruption that occurred then. Scientists, knowing the time of the song and having statistical data on the activity of the largest volcanoes in Iceland, conducted a study in Greenland, collecting ice samples formed in the 10th century. The remains of ash were found in samples dating from 939 – according to historical data and records of eyewitnesses living at that time, at that time there was a certain “fog” over Europe, and winter and summer turned out to be anomalously cold. After conducting chemical research, the scientists learned that the samples indicate the eruption of one of the world’s largest volcanoes – Eldgyau. Subsequent calculations showed that the cataclysm led to the fact that the summer in the Northern Hemisphere became colder by about 2 degrees. In all of Eurasia, to the north of China, very cold winters and summer droughts were to be observed, and in the future – crop failures, loss of livestock, locust invasion and famine in many parts of Iraq, Germany and China. It is easy to assume that this had an extremely negative impact on the life of local residents. This circumstance, according to Newfield, served as an additional argument for Christian preachers of the time, explaining why pagans in Iceland began to convert to Christianity. 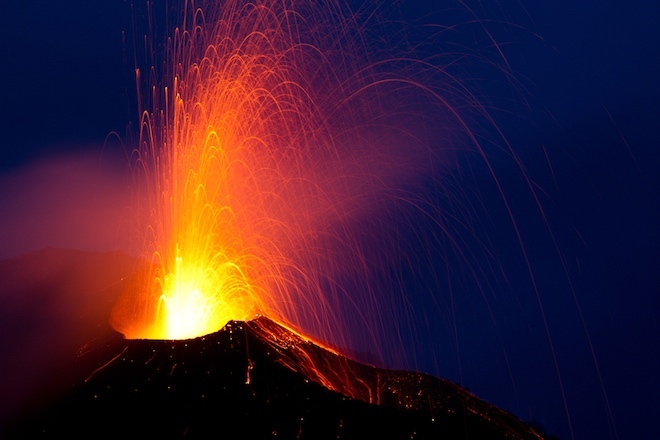 Volcanic activity directly affects the Earth’s climate. Emissions of carbon dioxide can cause an increase in temperature on the surface, and particles of ash and aerosols in the atmosphere due to the retro-reflective effect, on the contrary, lead to abnormal colds. Such catastrophes have happened more than once in the history of the Earth, the consequences of such cataclysms were volcanic winters, mass famine, outbreaks of diseases.